After spending five seasons with Mohun Bagan, Rakesh Masih has joined Salgaocar on a one-year deal, Sportskeeda can confirm. The 26-year-old versatile player joined Mohun Bagan in 2008 from Tata Football Academy (TFA) and had a stellar first season with the green-and-maroon brigade as he won the FPAI Young Player of the Year Award. Masih has also represented India at international level, also being a part of the 2011 Asian Cup squad. But the Punjab-born player was troubled by injuries in the last two seasons and thus wasn’t a regular at Mohun Bagan. Masih also had an offer to sign with Reliance IMG for the proposed IPL-style tournament, but he chose to sign for the two-time Indian champions. “I was approached to sign for the IPL tournament also but since there is still uncertainty about the competition, I thought joining an I-League club was the safest option as I am determined to return to the national team soon,” Masih exclusively told Sportskeeda. 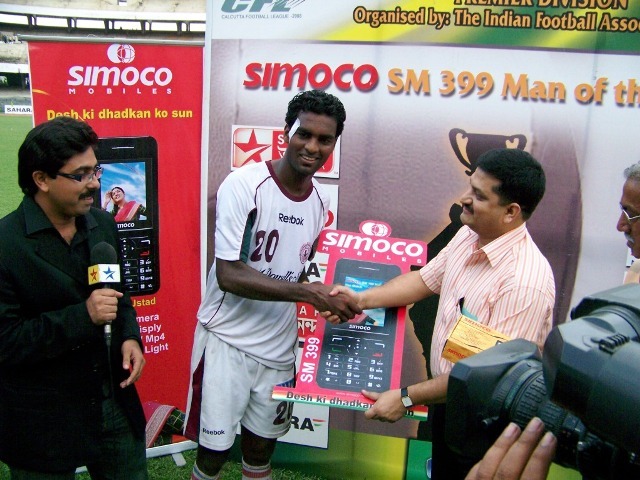 Masih was one of the best Indian players of the 2008-09 season, when he formed a great central midfield partnership with Brazilian Marcos Pereira at Mohun Bagan. The TFA product, who can also play in defence, explained that the presence of former National Football League winning coach Derrick Pereira was one of the main reasons behind his move to Salgaocar. “Salgaocar are a big club with great history in the I-League and Federation Cup. Besides that, Derrick Pereira is a great coach and I am looking forward to playing under him and having a successful time,” Masih concluded.